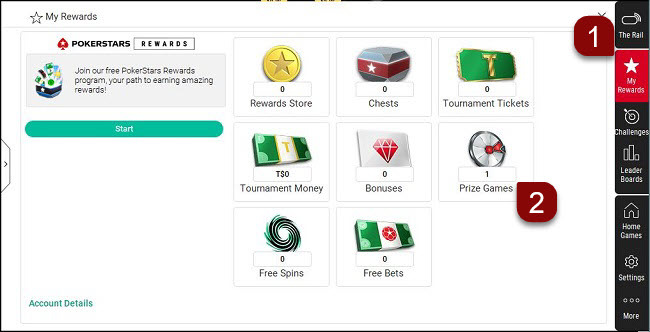 A Game Ticket is a special ticket used to unlock a bonus instantly. Game Tickets cannot be used to register for any tournaments. Open My Stars from the main lobby menu. 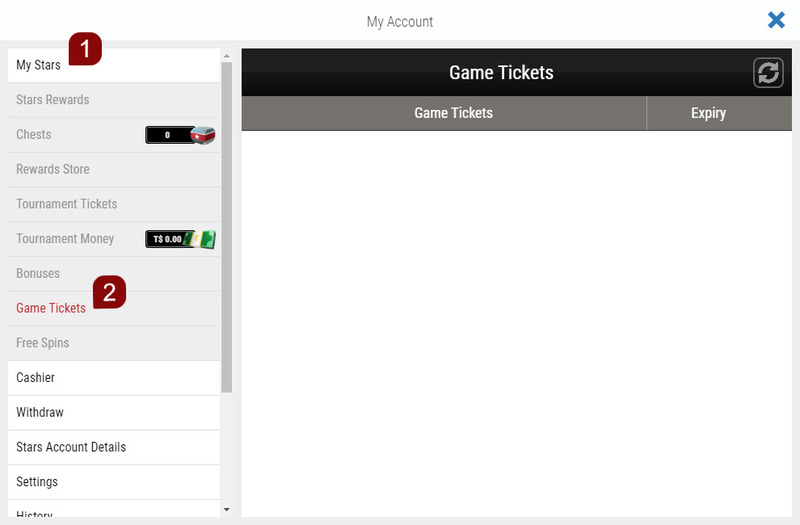 Click the Game Tickets widget. iOS: Select My Stars found at the bottom of the home screen. Android: Open the expandable menu on the left side of the screen and then My Stars. Open the Game Tickets widget. Select Account and open My Stars from the menu. Once there, locate the Game Ticket you wish to use (should you have more than one) and hit the + symbol to expand the tab. Then, simply select PLAY NOW! to activate the ticket and receive your reward.